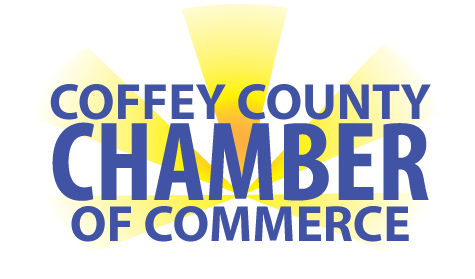 Many businesses and organizations have discovered membership in the Coffey County Chamber of Commerce is one of the best investments for their business. Members benefit from regular business referrals, outstanding networking and a host of promotional opportunities. Find out about the many ways you can promote your business through sponsorships and advertising. The Chamber offers a wide array of events providing excellent opportunities for members to develop and build business relationships. These include monthly educational programs and many special events. Notary Services are available at no charge for Chamber members. Press Releases / Announcements are available for social media and newspaper. The Chamber receives numerous inquiries for local products and services. The inquiries come from phone calls, visits to the office and through our Online Business Directory. The Chamber will be tracking unique visitors per month from individuals and businesses looking for products & services through the website alone. Referrals are made exclusively to member businesses.